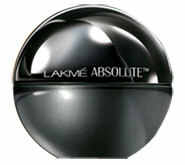 This mousse to powder formula delivers a feather-light finish giving you breathable natural skin. While its weightless formulation hides pores, fine lines and uneven skin tone to leave skin peachy soft all through the day. With SPF 8, lasts upto 16 hours.